Making the switch to cruelty-free fashion isn't as hard as you think. Humane fabrics and cosmetics are available in stores everywhere. So why don't we buy more cruelty-free products? Having asked that, I have to be honest with you. It took me a very long time practicing a vegan diet before I began to transition into cruelty-free fashion and products. Why? Because I wasn't educated enough and I was confused about labeling. That is why I am devoting this blog post to educating our health and wellness community about vegan cruelty-free fashion. Let's begin by defining the words “cruelty-free” and “vegan” in products. 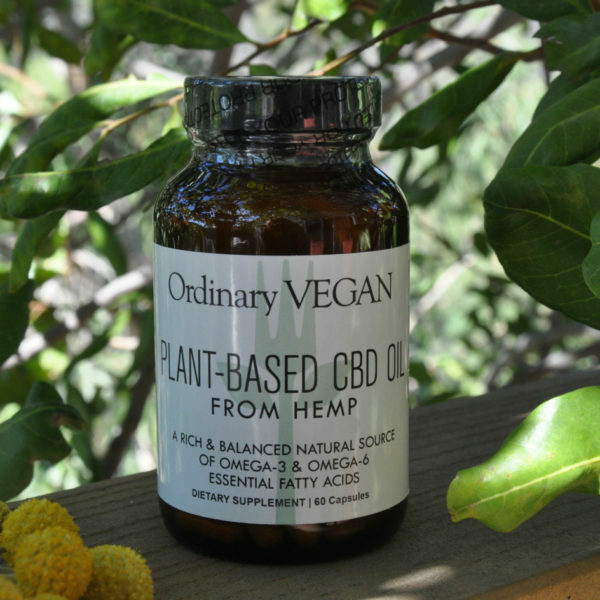 Vegan means the entire product is animal-free and doesn't include ingredients like honey, beeswax, lanolin, collagen, gelatin or animal derivatives. 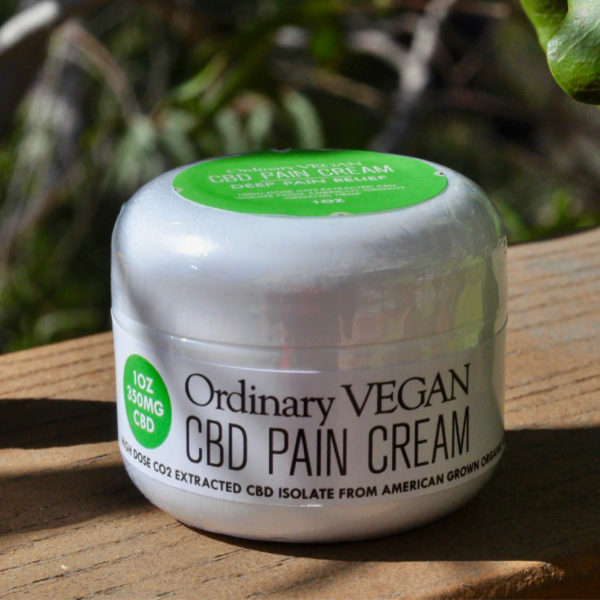 By contrast, “Cruelty-free” means that a product and its ingredients weren't tested on animals, but could include animal-derived ingredients. Confused yet? I know I was. 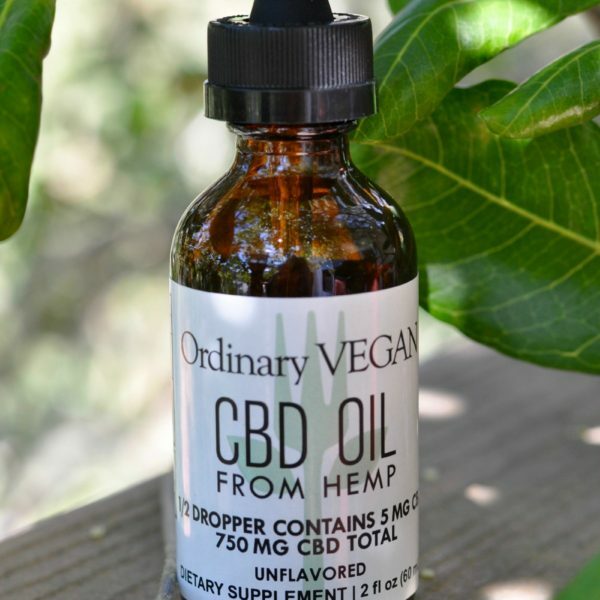 According to the U.S. Food & Drug Administration, there are no legal definitions for the term “cruelty-free” or “not tested on animals.” In other words, you have to trust the manufacturer not to deceive you. There is only one label for vegan and cruelty-free which is verified by PETA and requires companies to complete a questionnaire and sign a statement of assurance. Companies than pay to use and license the cruelty-free and vegan bunny logo. Now let's talk about the why. Many of us become vegan for our health, and some of us are committed to making a difference in animal's lives by not eating them. What ever your reason for being vegan, I think we can all agree that animals deserve humane treatment. Unfortunately, most fashion isn't humane. Leather is not a slaughterhouse byproduct. It is a booming industry and leather can be made from cows, pigs, goats, sheep, alligators, ostriches and kangaroos. Even dogs and cats are slaughtered for their skin in China which exports their skins around the world. In addition to the harm and suffering they cause animals, leather tanneries pose severe environmental problems by emitting highly polluted wastewater. Most people think that wool extraction means just cutting superficial fur. That is not the case in Australia which produces 25% of the world's wool. While I don't want to get too graphic you should know Australian ranchers perform a barbaric operation on sheep that involves carving the animal's skin and flesh. There are now many revolutionary wool alternatives and there is no reason to support a cruel wool industry. Down which is used to fill comforters, pillows, parkas and other products is the soft layer of feathers closest to the bird's skin. These feathers are extracted in a very painful manner for the bird that causes deep wounds and terror. No one needs down. There are now cruelty-free synthetic fillers which can keep you warm in all weather conditions. Especially relevant is the fur industry. According to National Geographic fur farms are still unfashionably cruel. This industry participates in blatant cruel killing methods. Despite a wealth of fur alternatives, many fashion designers still use fur on their runways and on their clothes. Last up is testing products on animals. Contaminating animals with toxic levels of chemicals is incredibly cruel and painful for an animal. Did you know that even items like cosmetics, diapers, pet food and some green cleaning products are tested on animals even though animal testing is not required by law. Companies have a choice. Hundreds of alternative testing technologies now exist, and there is nothing that justifies cosmetic and household product testing on animals. It is barbaric and has no place in modern society. So how do we begin to embrace vegan cruelty-free fashion? Stop buying brands that test on animals. The next time you are buying cosmetics, Look for cruelty-free vegan logos. Lime Crime loves our furry friends and they offer cruelty free cosmetics and all their makeup products are 100% vegan certified by PETA and The Leaping Bunny Program. 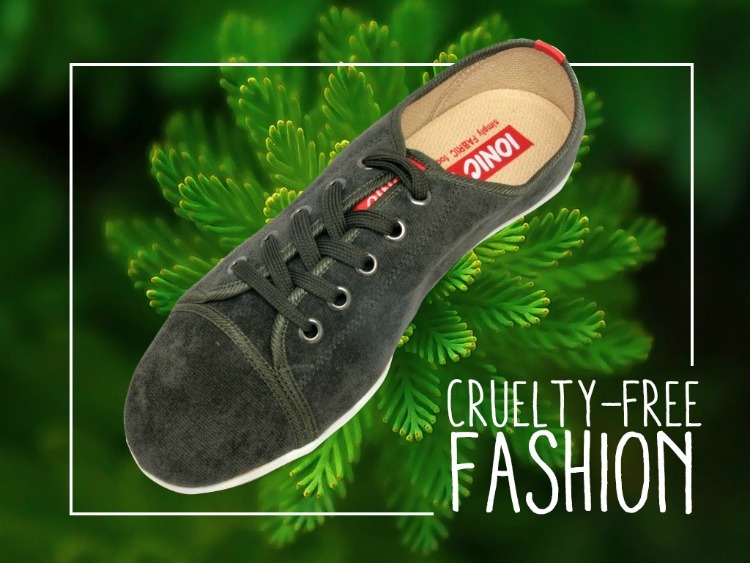 The next time you need new shoes, a sweater or cosmetics, search Google for cruelty-free vegan products. You don't need to replace everything at once. Most people don't have the financial means to purchase lots of new items. When you need to change out clothes, cosmetics or other fashion items, replace them with vegan cruelty-free fashion. If you have a favorite brand, reach out to them and urge them to take the necessary steps to a vegan cruelty-free status. Don't get discouraged. It will be a learning curve and you don't have to be perfect! 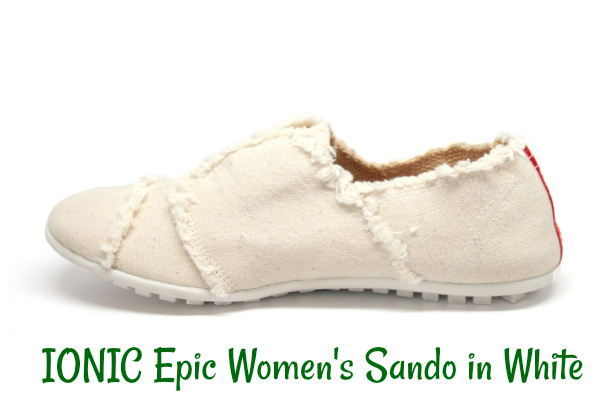 I would like to thank Ionic Epic Shoes for sponsoring today's blog post. Two weeks ago I broke my toe and I came across these amazing shoes. They turned out to be the only shoes I could wear comfortably with a broken toe. They are ultra-lightweight, vegan, cruelty-free, biodegradable, sustainable, and made without an environmental footprint. I choose the vegan women's Sando in white, and they were also the most comfortable shoes I have ever worn. I am so happy to have found them. Please support my sponsor by visiting their website. Use the code ORDVEGAN3 for 30% off your vegan cruelty-free shoes. I promise you won't regret it. 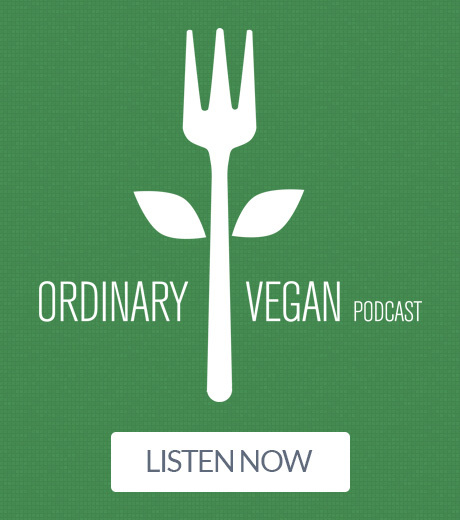 Learn more about plant-based nutrition on Ordinary Vegan's podcasts here or in iTunes. Don't miss any of Ordinary Vegan's free recipes by signing up here. Man this gives me hope! I was so worried I’m doing it all wrong. I decided a week ago to become completely vegan. I felt I need to buy everything now but its expensive and I don’t want a person that’s not all in. Any suggestions and tips? thanks a bunch! Hi Danni – My suggestion would be to take it one day at a time so you don’t get overwhelmed. Be really proud of yourself for being socially conscious and buying cruelty-free items in the future. You don’t have to replace what you already have. There are many cruelty-free apps that you can use on your phone to help the buying process. I use this one called Leaping Bunny. Congratulations on your vegan diet and thanks for being part of our health and wellness community!